I started my career at the age of 41. Here's how internships helped me. I started my career at the age of 41. Here’s how internships helped me. 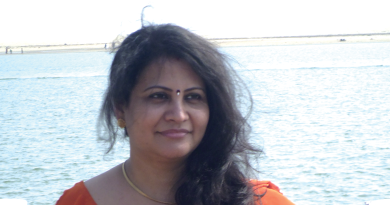 About the Author: Ahuti Mishra is a homemaker who started her career with an internship after she crossed the age of 40. She shares insightful details about her transformation from a housewife to a successful freelance writer. I’m ecstatic today; for the first time, I’ve been given an opportunity to share my story. After years of dormancy, I’ve now re-discovered myself as a working professional. And it’s a pleasure to tell you about my professional journey, which started in my 40s! I’m a quiet and self-effacing housewife. I married when I was quite young, and it was a love-marriage. My husband had a joint family and so we all lived together. My primary responsibility was to keep all my family members happy and satisfied as per their expectations. Having any personal goals was out of the question; however, it was not the same before. Prior to getting married, I was an ambitious girl who wanted to build a career in academics. As my father was a high school teacher, I too was inspired to have a similar career. I used to spend most of my time in reading or writing and dreamt of having a successful career ahead. I believe that the really meaningful things in our life are those which we want to do over and over with the same enthusiasm. For me, it was studying! So, I decided to pursue my education even after getting married and became a postgraduate in English literature. I must say that my in-laws supported me a lot and my husband always stood by my side. He encouraged me to perform well and actively participated in my education-related decisions; however, when I expressed my interest in going out to work, the reactions were not the same. Everyone in the family was convinced that since there was no financial support required, it made no sense for me to work. Once I became a mother, I too gave up on the idea of working. My days were spent in taking care of my child, his studies, and rest of the household chores. Meanwhile, I developed a sound interest in writing. In my leisure time, I started writing in my diary religiously – everything from random thoughts to my different experiences. This way 18 years went by! I had aspired to do something great in my career; however, in reality, I wasn’t doing anything even close to what I had dreamt of. Something unexpected happened after a long time. In the wake of social media, I became quite active on Facebook. I started commenting on others’ posts, wrote my own posts, and engaged with others. One day, I got a message from a friend. He asked me if I loved writing to which I replied in affirmative. I wasn’t expecting what he said next; he asked me why I was wasting my writing skills on Facebook! In the ensuing conversation, he offered me to write for his healthcare website (mavcure.com). I quickly grabbed the opportunity. While working with him, I learnt how to write in a simple and conversational way to reach the target audience. He mentored me well and told me about plagiarism and various tools like Grammarly, Hemingway test, etc. which further helped in honing my skills. One of my articles “Estrogen-rich foods” was then published on the website and it received a good response. Now that was quite unbelievable for me! I was glad and could feel my confidence rising. It was while working him that I got to know about Internshala. Thus, I decided to test and develop my writing skills through internships. I installed Internshala app on my cell phone and applied to some work-from-home internships in the field of content writing. I was shortlisted by an organization, Nettv4u, and was asked to complete a writing assignment. I had to compose brief biographies of two media legends from a given list of nine. I submitted it as soon as possible and was hired for the internship. My happiness knew no bounds! My family was also very excited about this news, especially my son, who was in the second year of graduation at the time; he encouraged me a lot and still continues to do so. During the internship, I continued to write about media legends. To be honest, though it felt great seeing myself advance on the path of professionalism, keeping a balance between work and family was challenging in the beginning. Either I was missing the deadlines, or I was compromising on the needs of my family members. I kept going on and soon learnt to create a balance. The internship was an amazing experience. The Nettv4u team was very cordial and helped me a lot. They gave me multiple chances to rectify my mistakes and never let my moral go down. My writing skills improved a lot, and I got to know a lot about the nationally and internationally acclaimed media personalities. Finally, the team published almost all of my write-ups along with the assignment that I had submitted initially. I proudly shared all of them with my friends and family members and received appreciation from all of them. After that internship, it became a ritual for me to apply to internships through Internshala. Currently, I’m simultaneously pursuing three virtual internships at FexyFashions, BuyersGoHappy.com, and RippedUpNutrition respectively; all of them have been secured via Internshala. It feels great as now I have a plethora of opportunities to choose from! I’ve built my writing skills and have valuable internship certificates to prove that; I’m confident that I can successfully pursue a career as a writer. Now, I’m known as Ahuti Mishra – the freelance writer! Yes, this is what I had always dreamt of – to have an identity of my own. Now that I’ve gained that identity and found a new meaning to my life, I look forward to going a long way and learning many more things. To all the women, especially housewives, I would just like to say this – “Don’t look at your age as a barrier. You are never too old to follow your dreams and start a career.” How to do so, you ask? In this digital era, there are ample work-from-home opportunities; just get started with any one of them! Opt for internships – they will help you gain relevant work-experience for starting your career. Even if one woman gets encouraged to start or re-start her career after reading my story, the purpose of sharing my journey will be fulfilled. Inspired by Ahuti’s transformation? If you are also looking to (re)start your career, apply to these cool internships for women. Helped a kid in setting up his own shop! Ahuti doesn’t seem to be following the post. You may reach her at https://www.facebook.com/ahuti77. Also, I am glad to know that you wish to (re)start your career. I hope language doesn’t pose a hindrance in it. A word of advice – Read! Reading newspapers, magazines, novels, blogs, etc. will help you gain a better understanding of grammar and sentence structure. You may check out English with Internshala at http://blog.internshala.com/learning-tracks/english-with-internshala/. Please visit https://internshala.com/ifwinternships/virtual-science-internship for relevant internships. You may apply to the ones that suit your interest. If you have any queries, please call us on 9650196253. It is really enthusiastic that you are interested to start your career. As Unnati has replied here that you can improve your efficiency more in english by reading various journals and newspapers. It is not at all required to read the topics which are not interesting for you. Rather you can read them which attracts you to read. You have to improve your grammar ane vocabulary. So if you are really interested to start your carrer as a writer, then go ahead dear. Be dedicated towards your goal. Download the Internshala app. Do some internships on the subjects of your choice. Follow the links given by Unnati. Definitely, you will be successful. All the good wishes dear. Great and inspiring story. all the best and keep learning and thanks. Hello Ahuti ji first of all thank you becoz after reading your story it really make me inspired.i have also interest in writing and I have written few article on my diary but I want to enhance my writing skill further and to make my identity as a professional level but I couldn’t find any platform and don’t understand what should I do. Hi, from my experience I will suggest you to do internship at Internshala to achieve more skill in writing. You have to download the Internshala app from the Google play store in your smart phone. Create a resume and apply for the internships. Definitely you will get successful.